On sale now! This vehicle was originally listed at $20000. We've marked it down to $18000. You save $2000. The 2017 Hyundai Elantra is one of the most refined economy cars on the road. - The Car Connection. 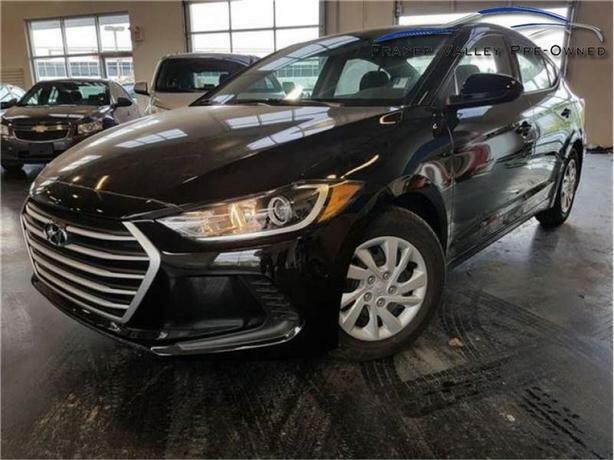 This 2017 Hyundai Elantra is for sale today in Abbotsford. The all-new 2017 Elantra is a groundbreaking vehicle, designed to bring new levels of sophistication to compact car customers. Hyundai's engineers set out to achieve a new standard for rigidity with a structure heavily composed of our Advanced High Strength Steel also known as the SUPERSTRUCTURE, which delivers a new level of ride comfort with smooth and precise handling and enhanced safety.This low mileage sedan has just 174 kms. It's black noir pearl in colour. It has a 6 speed auto transmission and is powered by a 147HP 2.0L 4 Cylinder Engine. Buy this vehicle now for the lowest bi-weekly payment of $117.27 with $0 down for 84 months @ 4.99% APR O.A.C. ( Plus applicable taxes - Plus applicable fees ). See dealer for details.